PRICES QUOTED INCLUDE UPS GROUND SHIPPING TO THE 48 CONTINENTAL STATES. 327/300. 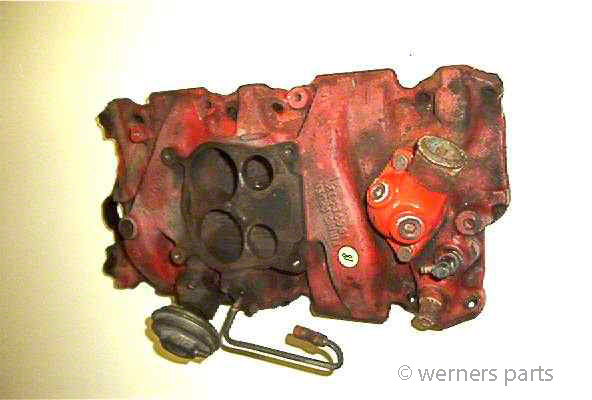 No cracks, welds or stripped threads with oil shield. mounting studs - correct length. Oil shield in place. No cracks or welds, Oil shield in place. Lightly cleaned. Oil shield not removed. No cracks, welds, or stripped threads. Cleaned and painted with cast blast. No welds, cracks, stripped threads. 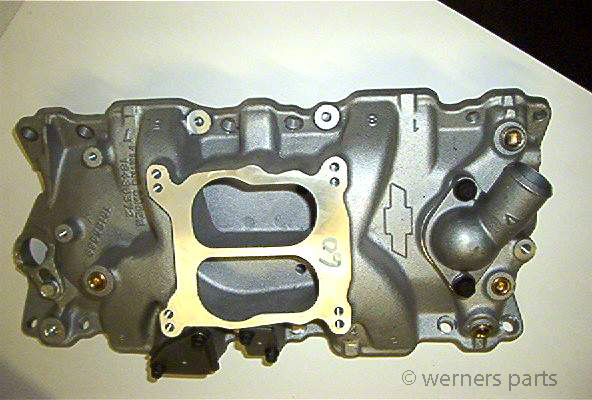 Intake Manifold, Aluminum, Square Port. Excellent condition. Ready to bolt on. Date 11 6 67. Cleaned and checked. Lightly cleaned. Oil pan not removed. 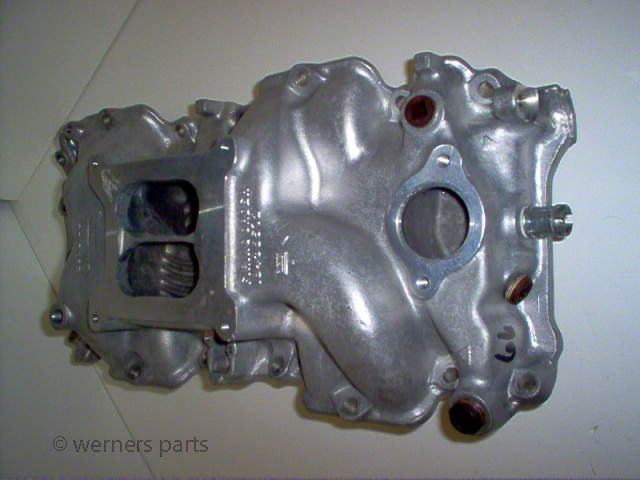 Intake Manifold Casting #3919852 w/3x2 for 1968 only. 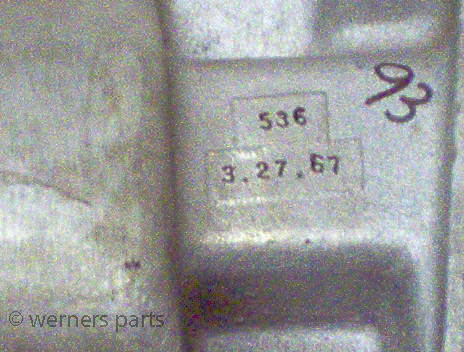 Dated 4-1-68  427/425 and 396/375. 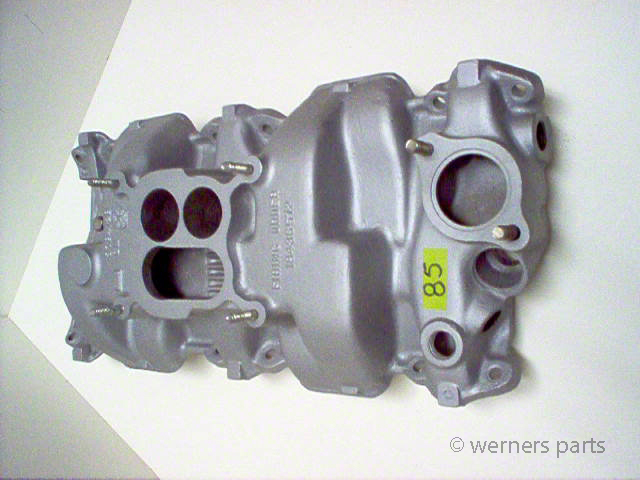 Intake Manifold, #3933163 N.O.S., Aluminium. Date J 10 8 (Oct. 10, 1968) No cracks, welds, or stripped threads.